Sports massage and hot stones. 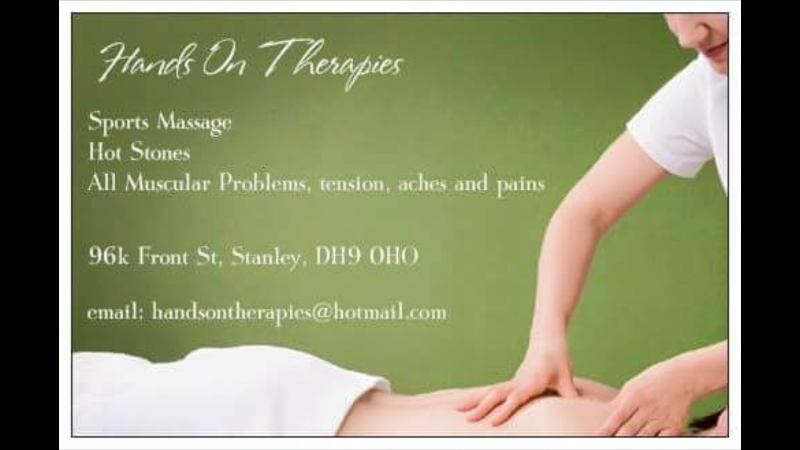 Male and female therapists, flexible appointment times to suit you, very good value for money. Regular treatments aid in recovery, prevention of injuries, general muscular maintenance, aches and pains and muscular tension. Introductory offer of £10 per half hour treatment, £20 per hour treatment. Block booking discounts available. Fantastic treatment both myself and my wife have had on going treatments with hands on therapies. Very professional and excellent value for money. Give it a go guys, you won’t be disappointed.